By default, your project server instance will show project custom fields related to workflow under project information window. If your organization is not using the Project Server out of box Demand Management functionality, there is no value of showing these fields in MS Project Professional. 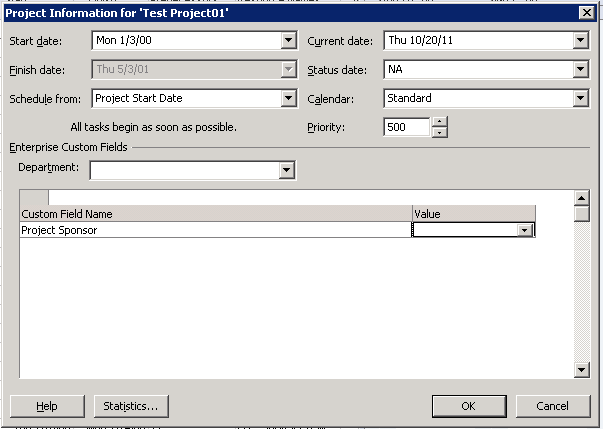 I am showing the work around to hide the Sample custom fields from MS Project Professional. 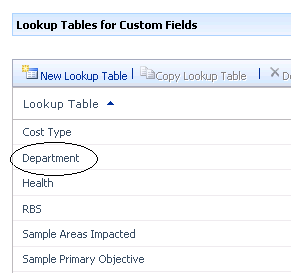 We can use Departmental Field feature to hide these fields. In this example "_NA_" department is helping us to isolate the Sample Fields from your Project Server environment. 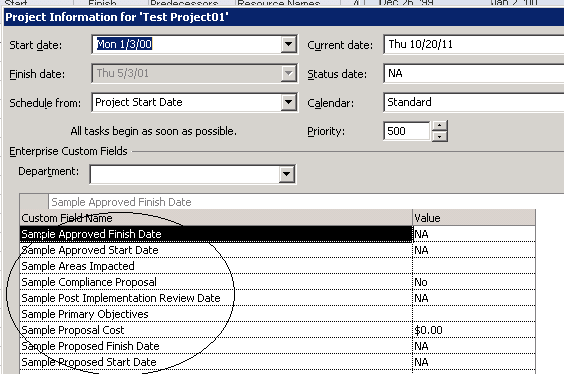 Launch Project Professional 2010 to view/edit the project plan. 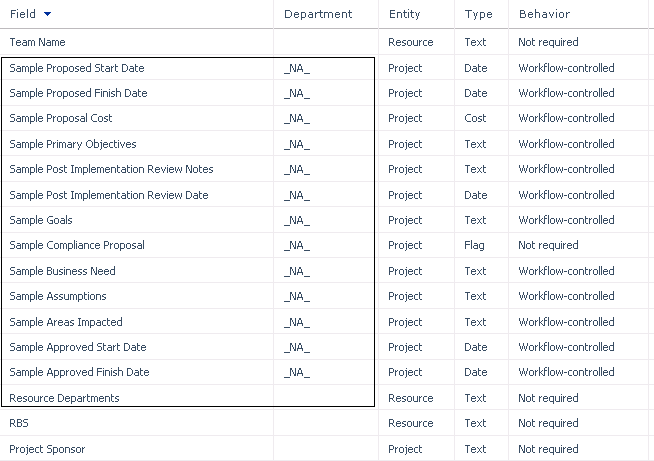 As your project plan not belongs to �_NA_� department and the user not belongs to �_NA_� department, so your project plan will not displaying the sample fields anymore in Project Professional. NOTE: Please make sure, enterprise resources and enterprise projects are not associated with _NA_ department. In this example "_NA_" department is helping us to isolate the Sample Fields from your Project Server environment.